Get the tools you need to move onward and upward. Have you recently entered the world of single-hood? This could be a scary, yet liberating, time of your life. Whether you are coming off of a long term relationship, or merely a few months relationship, a breakup is never easy. People tend to put their minds and hearts into a relationship and try everything they can to keep the relationship intact. When things get difficult the emotional pain and energy can be stressful and overwhelming. And even when you try to find some semblance of peace for you and your partner, unfortunately, not all relationships make it through and recover from the hard times. For some, the breakup may have been something that was coming for awhile, and now that it’s happened, it’s not that much of a surprise. For others, they are left blindsided and bewildered, wondering what do they do now? I’ll be honest, there is no simple solution to stop the hurting, but there are ways to help you get through the recovery process. Closure is a must: ending one chapter and starting a new chapter, especially if your partner vanished without explanation. You may never understand what cause the breakup, similar to never understanding why a good person dies from cancer. It is what it is. Take time aside to say good bye, grieve the relationship: write a goodbye letter, donate relationship items to charity, or replace relationship photos with friends and family photos. When making the changes, say goodbye and make your own closure. Avoid hibernating during the painful time. 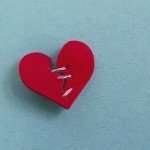 Going through the breakup can often bring up feelings of rejection, abandonment, and isolation. Isolation can also be a dangerous place for your mind to wander down the dark path of negativity and depression. Get support from family and friends. Find solace in their comfort. Remember, isolation will only magnify the feelings of loneliness and increase the frequency of mind racing negativity. Remind yourself that you will get through it. Give it time and don’t expect yourself to be over the relationship in a week. Allow yourself time to heal. This will help in the re-growth process of your new chapter. Remember, time heals. Remind yourself that the pain won’t be here forever and you will make it through. Now is the time for you. Bask in the new life you will begin to enter. While scary at first, revel in the idea of what your future may hold. Make new connections and laugh often. Try something new, or start a new hobby. And remember that in life, everything happens for a reason. Rebounds are where others quickly dive into intimate relationships with others to help “get over” the breakup. Rebounds ease the pain, distract from feeling the loss, and/or help avoid feeling lonely. As a therapist, I don’t recommend “using” other people to simply feel better; they have feelings as well. But if you are going to go the rebound route…please do it strategically. Don’t simply sleep with or start a new relationship with the first person showing you attention. Keep your standards and self value high. Avoid creating more wounds for yourself by being self destructive, drinking your heart away, and making unhealthy choices.